The Carolina Cobras announced today that single-game tickets for the 2018 season are now on sale. Lower bowl prices start as low as $11.00 per seat with various other price points throughout the Coliseum. A full seating map is available online at http://carcobras.com/tickets/single-game-tickets/. Single game tickets may be purchased at the Greensboro Coliseum box office, Ticketmaster.com or by calling the Cobras ticket office at 336-455-7232. The Cobras home opener is Saturday, April 7 against the NAL defending champion Jacksonville Sharks. This game will kick off with “Co-Bra-Ritaville.” The team chose this theme night to warm Carolina up for the first-ever game in team history! Expect Jimmy Buffets greatest hits and island tunes along with a list of tiki hut fun for the fans. On Saturday, April 21, the Cobras will face the Massachusetts Pirates for “Country Night” presented by UNC Greensboro. Carolina Cobras camo hats will be available for sale at the game as the Cobras look for a good old fashion country brawl against the Pirates. 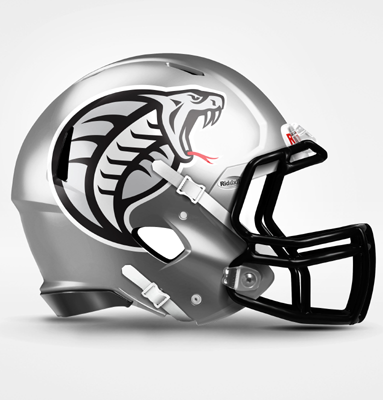 The Cobras return to the Snake Pit on May 5 for “Cinco De Mayo Night” against the Lehigh Valley Steelhawks. Bring your amigos and your sombreros and come to the game ready for a big fiesta! There will be plenty of music and cervezas to celebrate a victory. Ole! On Saturday, June 9 the Cobras will host Superhero & Villians Night / Education Appreciation Night as the team will face the Jacksonville Sharks. To celebrate all teachers, administrators and school employees will receive a Buy One get One FREE ticket offer (BOGO). Children will also receive a free ticket with the purchase of a paid adult ticket. The first 1,000 kids (12 and under) who attend the game will receive a free superhero cape. The Junior Venom Dance Camp will take place on this weekend and the Jr. Venom will entertain us with a special halftime performance. There will also be special appearances from popular superheroes and villians. Whether you’re a hero or villain come watch the Cobras battle for home field supremacy. On Saturday, June 23 the Cobras will face the Columbus Lions for Military Appreciation Night as we honor all those who have served and continue to serve in our armed forces. Active and retired Military Veterans from Carolina and their families will receive a BOGO ticket offer for friends and family. Renowned singer/artist Joe Everson will be performing and painting 3 military/Cobras themed paintings that will be auctioned off during the post-game with proceeds going to the Veterans Ticket Foundation (vettix.org). The Cobras will return to the Snake Pit on Saturday, July 14 for Halloween in July against the Lehigh Valley Steelhawks. This entertaining theme night encourages kids and adults to join us in their favorite costumes. Additionally, the Jr. Cobras Football Camp will held in the afternoon featuring Coach Billy Back, his staff, and players. The 2018 regular season closes with “80’s / Fan Appreciation Night” on Saturday, August 4, against the Columbus Lions. We will moonwalk to the rhythm of not only a winning decade but a winning season. Bringing back big hair, neon and zebra pants, as fans will enjoy a memorable last game of the regular season.